Republicans are often accused of things by Democrats, like torching their campaign offices and such, or hanging nooses of black people’s dorm doors. When the truth comes out, it’s always a Leftist trying to pull a fast one. So this latest incident is merely par for the course. As captured by Twitchy, extremlely Leftist Daily Kos founder and Vox co-founder (with a resume like that it’s hard not to picture his mother as a connoisseur of antidepressants) Markos Moulitsas took an article from the Daily Beast and ran with it. There’s just a couple problems. One, he wasn’t a writer for Breitbart. Two, he was a writer for the Daily Kos. That’s some seriously impressive audacity! The Kos clarified in their official piece on the matter that he was a source instead of a writer, which Breitbart disputes, but they otherwise don’t really ever get around to addressing the log in their own eye. Just a lot of talking while managing to say nothing. 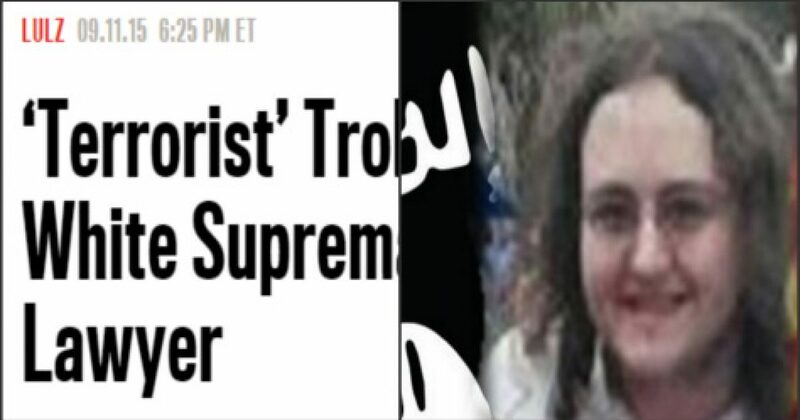 Joshua Goldberg, who is now in FBI custody for terrorism, is really nothing more than an internet super troll with multiple online personas. In truth, he’s a sun-repulsed 20 year old living in his parents’ basement. In other words, a typical Daily Kos contributor, possibly on loan from Media Matters. While “double-down” is an overused buzzword in pundit circles, when someone does it hard you can’t help but notice. Again, that takes some serious nerve, and confidence that your readers have been effectively neutered intellectually. It’s the classic misdirection of an illusionist, but his technique needs a little work.